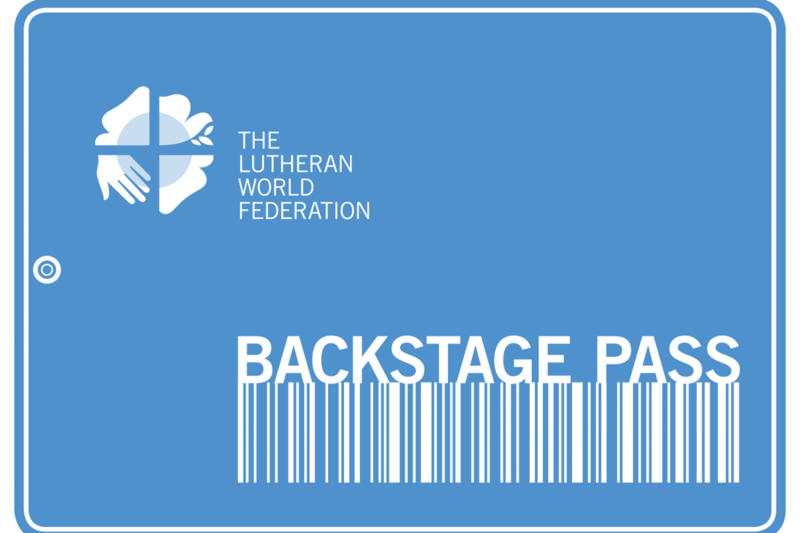 LWF Backstage Pass is offering trekkers from the communion a unique glimpse behind the scenes into Nepal and the work of the Department for World Service there. After visiting Muktinath temple, a holy site for Hindus and Buddhists located on the Annapurna trail, participants Kristine Lund (Canada) and Pratibedan Baidya (LWF Nepal) share their thoughts. Slowly, step by step I make my way up the mountain to Muktinath Temple. Towards me comes a steady stream of tourists and smiley faced pilgrims. A middle-aged woman with a broad smile on her face is coming towards me and says: “Slow, slow, very important”. I replied “Yes I know” (because of the altitude – Muktinath temple is at about 3,800 meters). She goes on to say, “You must go around three times. First, you get your right shoulder wet, second time, your left shoulder, and the third time, over your head.” I respond, “Thanks!” and we both continue on. Clearly, the time at the temple was very special for her. I continue slowly up the mountain to the entrance of the temple. There are various sizes of bells, different huts, people selling wares, etc. I make my way to the part of the temple where the 108 water spouts are in a semi-circle. All of them are shaped in the head of a fish with water pouring out of their mouths. The pilgrim is to go under each of the water spouts three times as a means of receiving their salvation. I stand and look at all these water spouts remembering the woman I met on the way up the mountain. This place and action of running beneath all the water spouts is an extremely sacred and holy place to them, yet I feel no connection to it at all. I am clearly a tourist, an onlooker. I wonder how a “tourist” or onlooker would view the Christian ritual practices that are so familiar to me. I suspect they too, might find them interesting but not necessarily meaningful. A sign at the Tibetan refugee settlement school says it well, “. . . it is much better to have a variety of religions, a variety of philosophies, rather than one single religion or philosophy. This is necessary because of the different mental dispositions of each human being. Each religion has certain unique ideas, learning about them can only enrich one`s own faith. Being a Hindu I feel lucky to have an opportunity to visit Muktinath temple, one of the holy sites and sacred areas for Hindus. It is said that every Hindu should visit the temple in their lifetime for getting mokcha (emancipation). After visiting the temple, I found that it is perfect example of religious harmony as the temple has been accommodating both Hindu and Buddhist gods. After seeing many foreigners (Non Hindus) coming to the temple and performing holy bath in 108 sprouts of the temple, I feel happy that they were also taking our religion and culture positively. I feel lucky that our religion is being recognized by Non Hindus as well and the temple played an important role to maintain religious harmony.